When you watch the news or check out stocks you will probably see words scrolling across the bottom of the screen, this is called a ticker. You may be thinking of starting a news website or simply want a professional looking way to show updates about your site and want to use that style. In this article, I will show you how to add a scrolling news ticker in WordPress. I will start by downloading and activating the Ditty News Ticker plugin. It will add a new menu item called News Tickers where I can add a new ticker or edit the settings of my tickers. If you go to your News Tickers section and press the Add New button we can start creating a new ticker. From the top you can enter a title so you know where this ticker should go, then there is the shortcode and direct functions that you can use to add into posts or into your theme file depending on your comfort level. Don’t feel you need to copy those now, they are located in another spot later on. After those are out of the way we can finally start to customize the ticker. I will go with the default type for now and use ticker mode on scroll. In the Default Ticker Items you can add as many items as you like to this ticker. Each item can have some text, a link to wherever you choose and you can do minor edits such as setting your target to blank or turning on “nofollow” with the check box. To add another item all you need to do is click the + icon on the far right. For now I will leave the other options alone but should you want to change how the text scrolls or the size of the ticker, you can edit the scroll settings. 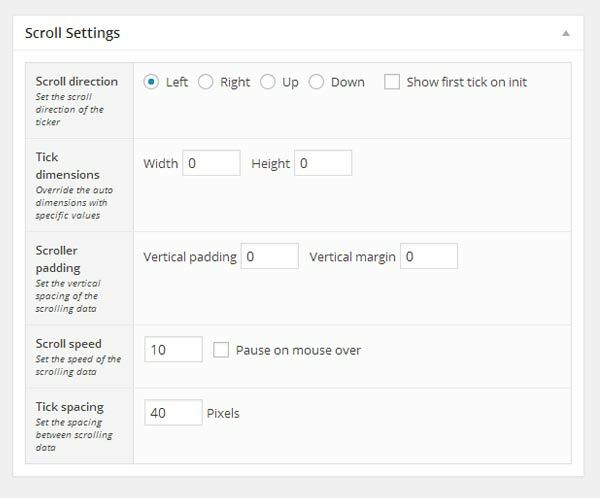 With my settings done I will want to publish the ticker and copy the shortcode from either inside the ticker or looking at the News Tickers section in your admin panel. You can now take that shortcode and place it into a widget, page or post of your choice. I hope this article helped you turn heads with spinning words on your WordPress site. Where do you place the shortcode on a page, widget, or post? Does this work with WordPress.com blog??? Nope. 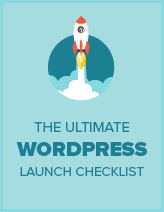 You’ll need to have a self-hosted WordPress blog. Check out our articles on WordPress.com vs. WordPress.org and how to start a blog on self-hosted WordPress.